When you’re facing spinal surgery, you may be worried about how long your recovery will take. 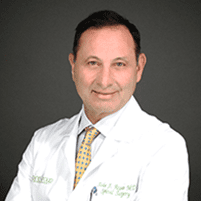 At Spine Group Beverly Hills, John Regan, MD can use minimally invasive spine surgery techniques to reduce your pain and ease your fears about recovery. Procedures, such as spinal fusions and discectomies, are available to treat herniated discs and degenerative damage without a long recovery process. Find out more about the benefits of minimally invasive spine surgery by calling either the Beverly Hills or Santa Monica, California, office directly, or book your appointment online. What types of minimally invasive spine surgery are available? Spine Group Beverly Hills is highly regarded in groundbreaking, minimally invasive thoracic disc surgery. Dr. Regan offers discectomy surgeries and spinal fusion procedures. Both types of surgery require only small incisions, which Dr. Regan uses to access your spine. Using small, precision surgical instruments, he can perform the surgery without causing additional trauma to your body. When the gel-like center of your spinal disk pushes out through a tear in the tough outer area, you have a condition known as a herniated disc. This damaged disc can put pressure on nerves in your spine, causing pain, weakness, and numbness in your back. A discectomy is a procedure Dr. Regan may recommend to remove the damaged spinal disc that’s pressing on the nerve. How does lumbar fusion work? During the procedure, Dr. Regan joins two or more vertebrae together using durable screws or rods to stabilize your spine. Fusion surgery limits movement between vertebrae to prevent pain and increase the support system of your spine. Surgery is usually the last resort treatment option for spinal conditions. If nonsurgical therapies aren’t effective in relieving chronic back pain or improving your spinal functionality, Dr. Regan can perform minimally invasive surgery. Using minimally invasive techniques, Dr. Regan only has to make small incisions to access the treatment area. This helps you recover faster from the procedure and reduces your risk for complications. Minimally invasive spine surgery also allows Dr. Regan to successfully perform more complex surgeries with more precision and accuracy than is possible with open surgery. Find out if minimally invasive spine surgery is right for you by calling the office directly or booking an appointment online.